As digital marketers, we’ve all been there. You’re walking into a recap meeting with a client, excited to present the successful metrics from last month’s campaign. But as you eagerly pass out your one-sheets, your client does the same. 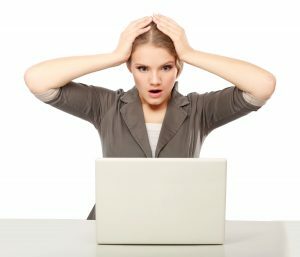 You look down at the numbers and panic ensues because your conversion tracking metrics are completely different than theirs. Why are we not getting credit for web traffic? Why are we not getting credit for the leads generated? But there’s no need to stress. It’s very common. There are often discrepancies between analytical reports, and all we need to do is properly explain why these differences occur. How they work: Whether you are filling out a form online or in the waiting room, a business sometimes asks questions like, “How did you hear about us?” or “What brought you to our website?” They ask this because they are trying to pinpoint which media is most effective in their advertising mix. How they can be misunderstood: Consumers are exposed to thousands of messages every day and tend to forget where they actually saw or heard an advertisement. Rather than select “don’t know,” people typically pick the first choice on the list or a media source they recognize. For example, I had a client awhile back whose survey results showed that over 30% of leads came from radio, which was strange because they’d never advertised on radio. How they work: Each media platform is assigned a unique landing page that includes a lead form. You can then attribute every lead to a specific advertising medium once contact information is submitted. Also, leads submitted on the primary website can be measured via web tools, such as Google Analytics, that will align a “goal” with the source/media that directly sent the user there before taking action. How they can be misunderstood: For upper-funnel media, such as television, radio, and digital audio/video, the purpose is primarily to educate the consumers and not drive an immediate response. Therefore, if a customer hears/views the message repeatedly without clicking through, but then visits the client’s website a few days later and converts, the medium that created the awareness will not get the credit. 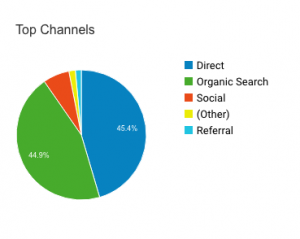 The lead would be typically be labeled as “organic” or “direct” in their analytics reporting. How they work: Each media platform your client advertises on uses a unique phone number, so they can tally the total number of phone leads, the duration of the phone calls, and whether or not they turned into an appointment and/or sale. How they can be misunderstood: Call metrics always skew in favor of more traditional media with an older demographic, such as broadcast television, newspapers and direct mail. Other media, such as radio and digital, are not consumed in the same way and, because of this, customers seldom dial the exact phone numbers advertised. As an example, you’d rarely pull the car over to write down a radio ad phone number, but you would search for that same business online when you get home, and simply dial the phone number that the search engine provides. Surveys are good for overall samples, but the results are unreliable because of customer uncertainty. Lead forms are substantial, but they favor last-click results. Call tracking numbers are undeniable, but they aren’t as effective on certain forms of media. At ESB, we have utilized all three of these common conversion tracking tactics, depending on the needs of our clients and campaign goals. That being said, we have a firm understanding that these tactics should be used more as a GUIDE for optimizing your media buy, and not as the whole story. What are your goals for the campaign? How will you be measuring success? How will you be tracking conversions? 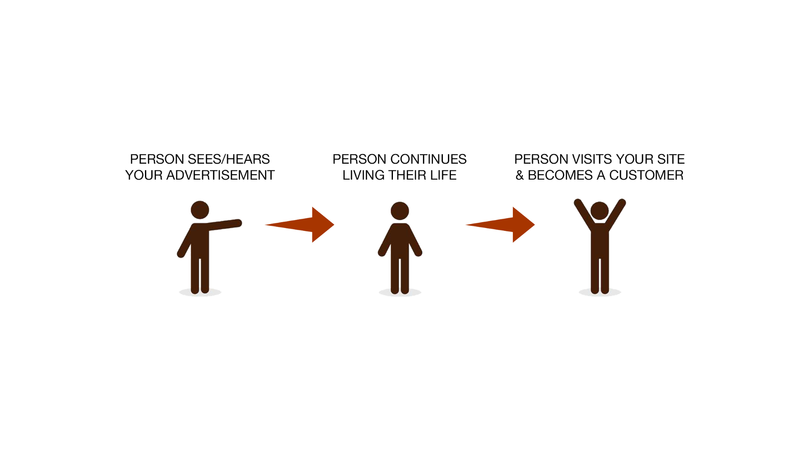 Will you give credit to view-through conversions via pixel tracking? The question regarding view-through conversion credit is absolutely essential. As mentioned earlier, many businesses use web analytics tools, such as Google Analytics and Adobe Analytics. These tools rely heavily on last-click attribution and give little credit to all the great brand awareness created from upper-funnel digital tactics. Therefore, if you are running any digital audio/video/social ads on their behalf, cookie tracking and/or device ID tracking is necessary to see the impact your ads have on driving results. That way, when it comes time for your recap meeting, you will be fully prepared to present a more accurate attribution model that gives credit where credit is due. This was a 30,000-foot view into the world of conversion tracking and campaign measurement. Contact us today to get your conversions on track!